Right now, these are questions that are being asked of me, and by me, as I begin the long and involved process of creating my sixth book. And they aren’t ridiculous questions. Indeed, the business of books (and long-form content of all types) seems more than a little counter-cyclical at this point, with brevity and images preferred for great swaths of learning and entertainment. Maybe, I wonder, I should convey the ideas of the book in a more “modern” format? Podcast. Video series. Daily Instagram story. Blog. A conference? All of these are viable at some level, and I might very well execute some of them. But, I’ll do them in addition to a book, not instead of a book. 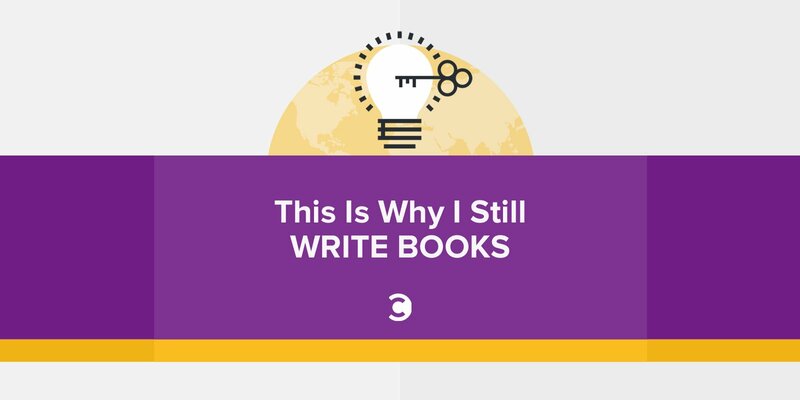 Because as soon as I start to embrace the concept of “maybe I should just stop writing books and communicate in some other way,” I am reminded that there is no replacement for books. Nothing is as comprehensive as a book. Thus, nothing is as powerful as a book. Thus, nothing changes behavior like a book. Thus, nothing creates results like a book. And that’s the goal: to create results for the reader. Sure, writing books accrues benefits to the author, but if you’re not writing books to help other people, you’re just engaging in a very involved process of self-gratification that requires killing trees to complete. I don’t write books for me; I write them for the reader. 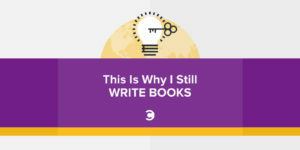 I write them because I see a trend that must be explained and illustrated, and in doing so, I know I can help people improve their businesses (which hopefully also improves their lives in some small way). Writing books is hard. It forces you to divert attention from your business and your family. And writing books is a layup compared to marketing and selling books. But I still do it. And I’ll keep doing it. Because every once in a while, I get an email from a reader that makes every hour of time put into a book absolutely worth it. It’s pure fuel for my fire. I know that by no means does every reader experience the same outcome, but it doesn’t take many emails to compel me to get back up on that book horse and ride. Franco Salerno and his wife own Darianna Bridal outside of Philadelphia. It’s a family business named after their two daughters, dedicated to providing the best wedding and formal wear for brides, grooms, and other celebrants. I just finished your book Hug Your Haters. I wanted to thank you for writing such a thoughtful and useful book. It took me several weeks to read it (my wife and I work 7 days a week so it can be challenging to stay awake at night reading!). Over the weeks of reading your wonderful book, I felt myself becoming calmer and less stressed in handling customer issues and running our business. Your book and the techniques it taught me allowed me to reduce my stress in handling customer complaints and our business overall. I put many of the techniques to use immediately and they were magic. We turned around so many complainers who became our biggest fans. So, here I go again. Many thanks in advance to everyone who still reads books and takes the time to make changes based on what they learn. I’m dedicating this next one to Franco and his wife Wendy, as I dive in to try to help people in some small way.